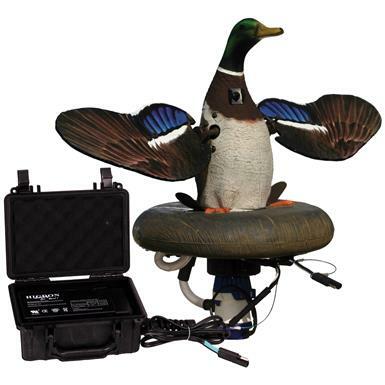 Higdon® Mallard Drake 12V Splashing-Flasher 2. Add motion to your spread! Bring 'em in close. This Mallard Drake 12V Splashing-Flasher 2 splashes and flashes...just like a real duck stretching its wings. 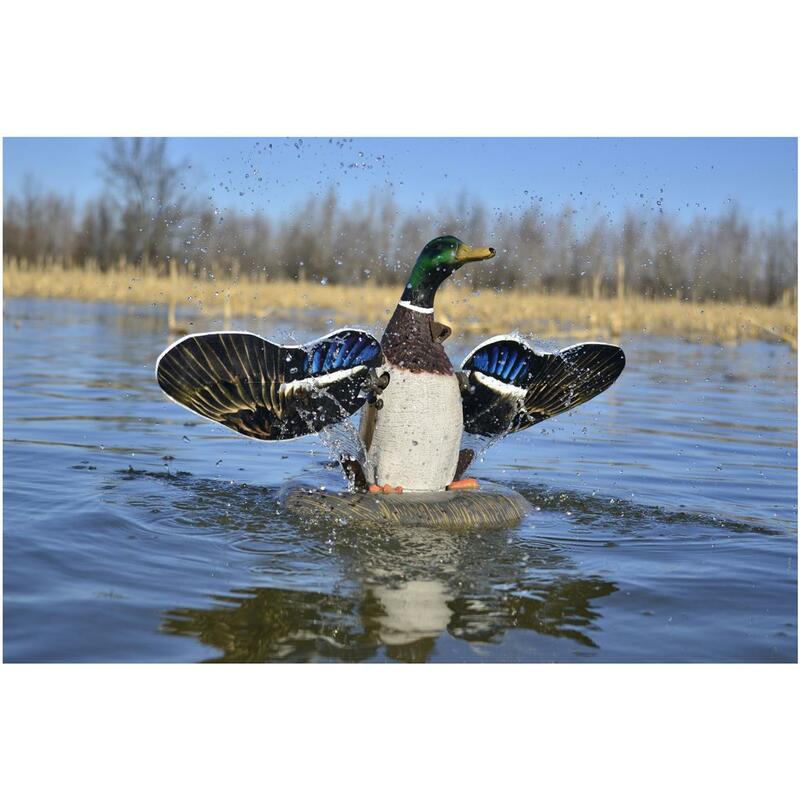 Its foam-filled base makes the decoy virtually unsinkable. Plus, the battery box, battery, and timer act as a bottom weight. It's easy to use, too. Simply turn it on, drop it in the water, and start hunting!